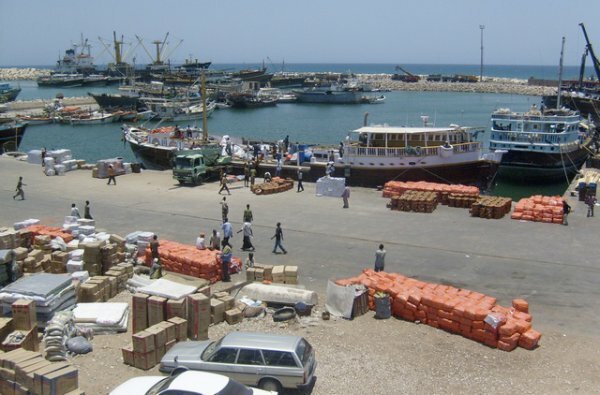 An investment agreement has been made between the governments of Somaliland, the United Arab Emirates and Ethiopia regarding the development of the port of Berbera. Under the agreement, a new company will be formed to manage the port with shares being divided between the three governments. The agreement also calls for $442 million to be invested into the infrastructure of the Berbera Port, the creation of an adjacent port and a new road from Berbera to Wajale in Ethiopia. Somaliland government signed an investment agreement with UAE and Ethiopian governments; DP World represented the UAE government in this agreement. The agreement created new company that manages Berbera Port; the ownership shares of the company has been allocated with DP World taking 51% ownership of the company, Somaliland will own 30% of the shares, and Ethiopia will own 19% of the shares. This agreement calls for infrastructure investment of $442 million dollars to upgrade the existing Berbera Port and to build a new adjacent Container Port. It includes millions of dollars more to build a new road from Berbera to the Ethiopian border town of Wajale. The expanded Berbera port and the new road will provide Ethiopian government and Ethiopian business community to have increased capacity to import and export merchandize to support continues growth of the Ethiopian economy. The agreement will also create significant economic activity and employment in Somaliland. This level of investment is very good in any country particularly in the Horn of Africa; Somalia claimed to reject the agreement and prohibited DP World from operating in Somalia. It is motivated by bigger political agenda that goes through Doha. The world knows by now that Somalia has no control over Somaliland, its leaders cannot even go to Somaliland, and that Somaliland is a sovereign nation, even if it is not recognized yet. Somaliland has and will continue to establish good relations with its neighbors; and Somalia should respect Somaliland's internal affairs.